What people like most is to see their dreams come to life. Whether there is a personal desire or a time machine, human beings struggle to make them possible. In the era of technology it may seem that everything has been invented and there is nothing more to bring new and useful. Nevertheless, there still are some who think that there is always place for more. That’s how ZmartframeMax appeared. ZmartframeMax is an interactive device that is open to multiple possibilities and offers its users timesaving, space saving and the opportunity to display it almost anywhere. The project that aims at mass producing and popularization of this overlay for projection is new, but the technology used is very advanced. Briefly, the initiators of the project offer a multi-touch overlay of big dimensions for projection purposes which you can handle with your bare fingers. The overlay can be assembled by anyone since it is very easy to use. It can be put on a wall or on a wooden tablet, on the table, on a glass window or it can just hang from the ceiling. For making it function you only need to connect it to a PC. It can also function as a big dimensions tablet or as a super screen to your TV. The optical-touch technology used makes this overlay very easy to use. No special pens are deeded to make it function and you can use your finger, any type of pen or any non-transparent object to make the images come to life. You don’t even have to push to make it function, just to gently touch the projection and you will be able to write, move images, select and deselect information or play computer games. 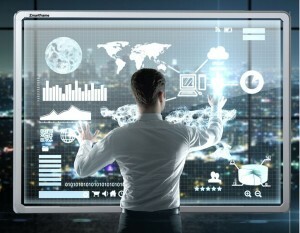 The ZmartframeMax touch screen layout runs on Windows and Android and it can easily be adapted to any type of computer or tablet. In just 15 minutes, anyone can have one of the newest and high quality technology to their disposition. It can be used in any business from publicity to banking, by doctors and detectives, by chemists and physicians, at schools and at home, in museums or in shop stores, in television or by surveillance teams, by adults and by children. 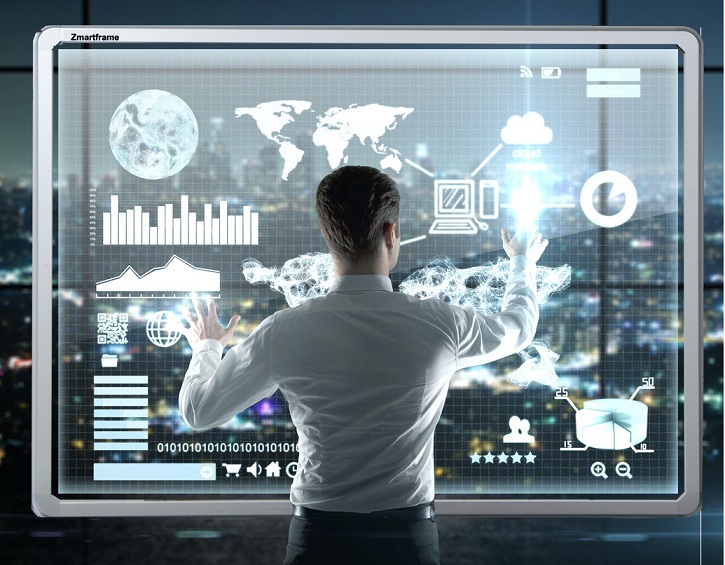 It is a touch panel for anyone and this type of technology is the future’s technology and its multiple functions make it desirable in any scientific field or for personal entertainment. What makes it even more interesting and useful is the fact that it offers a transparent projection. This gives the possibility of watching a presentation from any part of the meeting room. The low costs that it implies make ZmartframeMax an experience that anyone who works with technology or is interested in it has to have. Using this device makes your work more lively and interactive. People pay more attention to the information presented, students are more active and interested in the subject taught and it gives you the possibility of having a wider vision about certain matters. ZmartframeMax is not only a gadget, it is also a visual help that makes business and pleasure matters more efficient.